Thin stone veneer is a material that is used to "stick" to the wall. It's a great and inexpensive option for remodels, since you can easily cover existing masonry surfaces, such as cmu block, brick, cement, etc. It’s also great for applications with no brick ledge, and when lightweight wall coverings is a must. Great look of stone, without the weight. 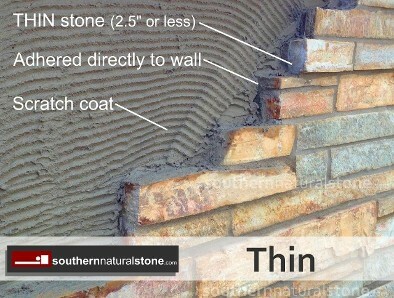 Thin stone veneer is available at Southern Stone in both natural and manufactured stone. Some stone needs to be sawn in the back in order to become Thin Stone. Click here to view Sawn Veneer. To view the installation guide, click here. Natural thin stone veneer is also known as: flagstone, flagging, patio stone, sawn veneer, stacked stone, cladding, Cultured, ledger panels, sawn, sawn veneer. 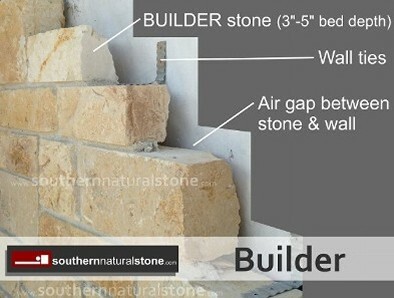 Builder stone is also known as: dry stack, chopped, saw cut, ashlar, natural brick, thick, limestone, ledge stone, field stone, full veneer, full ledge, or full dimensional stone. You can wrap your whole home or office with stone, or you can design a combination with brick, stucco, siding, etc. 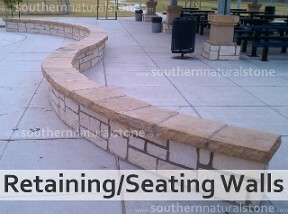 We encourage you to e-mail us stone pictures of ideas and colors you like. It's so exciting to build a home or office building. However, the task of picking every building material is stressful. Your home builder, stone mason, or architect can forward us the blueprints and we can measure to give you an accurate quote. We ship all over the United States. 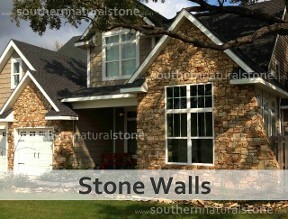 Southern Stone is the premier choice of stone suppliers. We strive to give you the best in customer service to include stone selection, installation tips, and timely deliveries. Thin veneer and builder stones are used in both commercial and residential wall applications. They can also be used for landscaping. Bring or send us your blueprints for a free quote. Not the type of wall you are looking for? Click below to go back to wall options. We deliver stone all over Texas. Including but not limiting to cities like Corpus Christi, Victoria, South Padre Island, Brownsville, Harlingen, Houston, and Laredo, Texas.